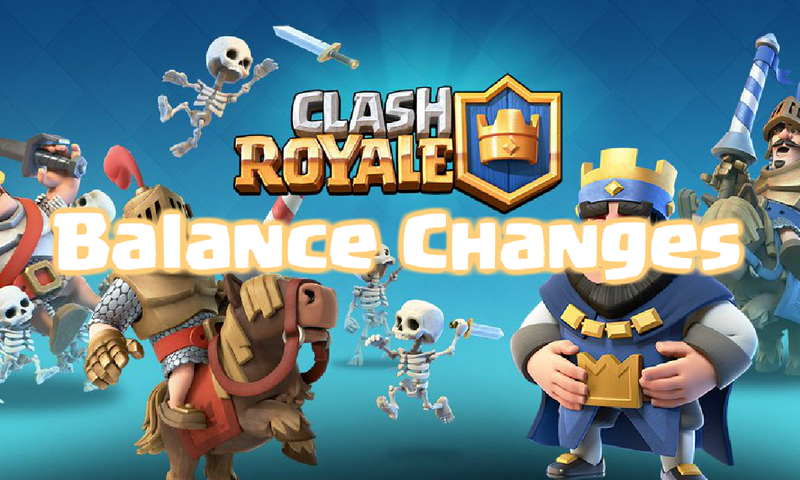 When the November 2016 update drops in Clash Royale, there will also be balance changes included in! These balance changes will include some big changes to the meta (ice spirit) and some big changes to make a new meta! Lets go over all of these changes! The two nerfs in this balance change update are two of the strongest cards in the game right now. The ice spirit will become much weaker with a half second cut off of its freeze time and the inferno will become weaker due to a health decrease. Both of these changes needed to happen, especially to the ice spirit, who offered way too much value for 1 elixir. The ice golem buff is huge. I have yet to actually play an ice golem because it is such a weak card so far. A death damage increase will be an indirect nerf to the skeleton army and make sure more chip damage decks use it. Also, the rage did need to be buffed as it is way underused even at 2 elixir. That’s all of the balance changes for November 1st. Most likely, these balance changes will come out with the new Clash Royale update, so be prepared for that! I’ll see you guys in a couple of hours with even more Clash Royale content! Wow the rage is getting a lot of buffs. First dropped 1 elixir and now increases in effects as well? My golem deck has rage in it, and it is going to get even more overpowered. Yeah, I do think rage is weak for where it was out. Didn’t offer enough value for 2 elixir. Hopefully this helps make it a viable option again. Pingback: Clash Royale Balance Changes Update 11/1 | Clash of Clans Guide, Strategies, Tricks and More!